It is very shameful for any Media person to extort money from any event organizer before amplifying their event. Media serve a purpose of entertainment, news and advertising therefore it requires contents to flourish. 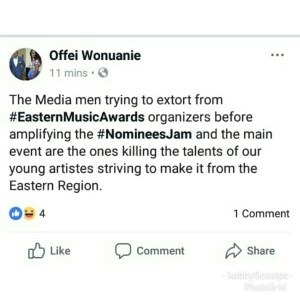 It was very sad seeing a post from the PRO of Eastern music awards accusing some media people for extorting money from them before talking about the nominees jam and main event. How can an award scheme with no money sponsorship get the funds to give money to Media people and bloggers before helping them? 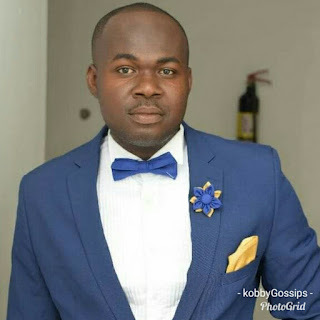 The EMA is a scheme designed to help the region and thinking of making money from it would be unfair considering is just in its second year and needs all the attention to be big. Find below the post of the PRO indicating how it would affect the young artistes striving to make it.